Latin America was one of the bright spots in the global services industry in Q3 2017, with location activity at an all-time high, driven by a large number of new center setups in Mexico, Colombia and Costa Rica, according to Everest Group. Overall, location activity in offshore and nearshore locations marginally decreased in Q3 (350 transactions) compared to Q2 2017 (374 transactions). Everest Group discusses these and other third-quarter developments in the sourcing industry in its recently released Market Vista™: Q3 2017 report. 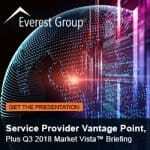 Everest Group held a webinar on November 14 in which the findings of the “Market Vista: Q3 2017” report were reviewed. The webinar also featured a discussion about the attractiveness and risks of Latin American service delivery. To listen to a playback of “Practical Insights: Tips for Managing and Optimizing Service Delivery in Latin America PLUS a 3rd Quarter Market Vista Update,” click here. There was an increase in research and development (R&D) center setups by technology and communications enterprises, reflecting their preference to insource next-generation services. Healthcare outsourcing transaction volume declined due to uncertainty around regulatory changes in the United States. Revenue increased quarter-to-quarter for offshore heritage providers (3.1 percent) but decreased 0.4 percent for global providers overall. Operating margins for offshore heritage providers declined due to appreciation of the Indian rupee; operation margins for most global majors declined, reflective of declining revenue. After reaching an all-time high in Q2 2017 at 49 setups and expansions, Global In-house Center (GIC) activity fell in Q3 to 36 setups and expansions. The share of tier-2 locations increased compared to tier-1 locations. ITO deals and application outsourcing services saw a decline. Among new IT outsourcing deals and GIC center setups, the share of digital services provided increased compared to traditional services provided. There are significant differences in the leading digital services supported by GICs versus those supported by IT service providers. 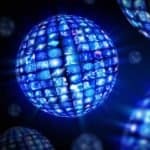 GICs more commonly provide analytics (41 percent), cloud (24 percent) and cybersecurity (20 percent) services, whereas IT service providers offer primary cloud services (58 percent), followed by analytics (13 percent). “The third quarter global services demand continued to remain sluggish. While on the outsourcing market, we continued to see increase in share of digital deals, number of new GIC setups marginally reduced after an all-time high in Q2 2017. 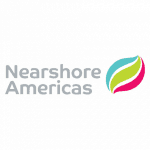 What is interesting in this quarter is the resurgence of Latin America to support global services delivery to North America, with center setups at an all-time high,” said Salil Dani, vice president at Everest Group. The Market Vista report highlights the trends in the fast-evolving global offshoring and outsourcing market, exploring the key developments across outsourcing transactions and Global In-house Centers (GICs), as well as location risks and opportunities and service provider developments.